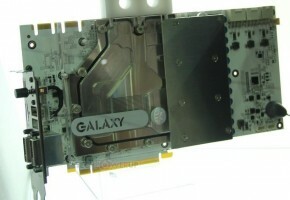 Galaxy has joined the competition in enthusiast segment of GeForce graphics card. 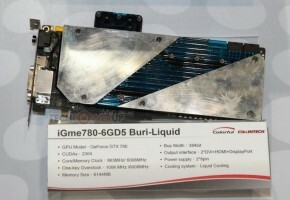 So far we have EVGA’s GTX 780 TI Kingpin edition, MSI’s GTX 780 Ti Lightning and recently showcased ASUS GTX 780 TI ROG MATRIX. Galaxy’s HOF V20 is also completely redesigned graphic card. The card is so new that even GALAXY has no cooler ready for it. Of course custom cooling solution is not required to break records, as you can install any LN2 cooler. 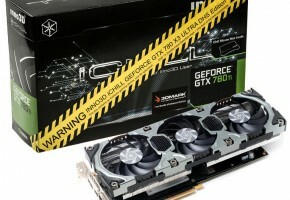 Just to be clear, this is not GeForce GTX 780 TI HOF and 780 TI HOF+. 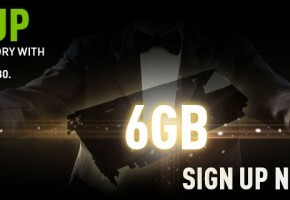 The new card is using new PCB, which is much larger. HOF V20 is utilizing 16 phase GPU power, which is supported by 2+3 phase design for memory and PLL respectively. 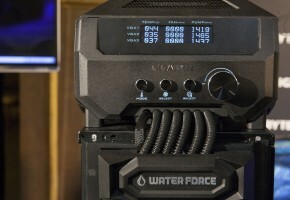 Similarly to MSI’s Lightning, Galaxy HOF V20 uses three power connectors: two 8-pins and one 6-pin. 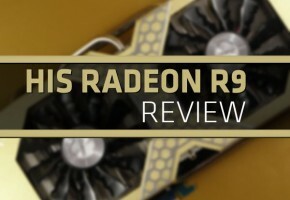 The best part is that has SLI fingers, even though that not many cards will be easy to connect with typical SLI connector bundled with your motherboards. 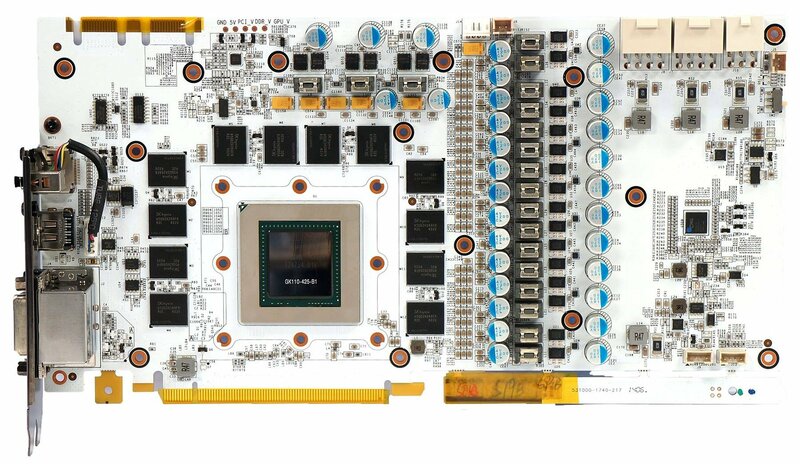 GALAXY’s GTX 780 TI HOF V20 took the world record with single-GPU configuration. Mad Tse scored 8479 points in 3DMark’s Hall of Fame competition. That gives us less than 1% difference between Mad’s and Kingpin’s scores. 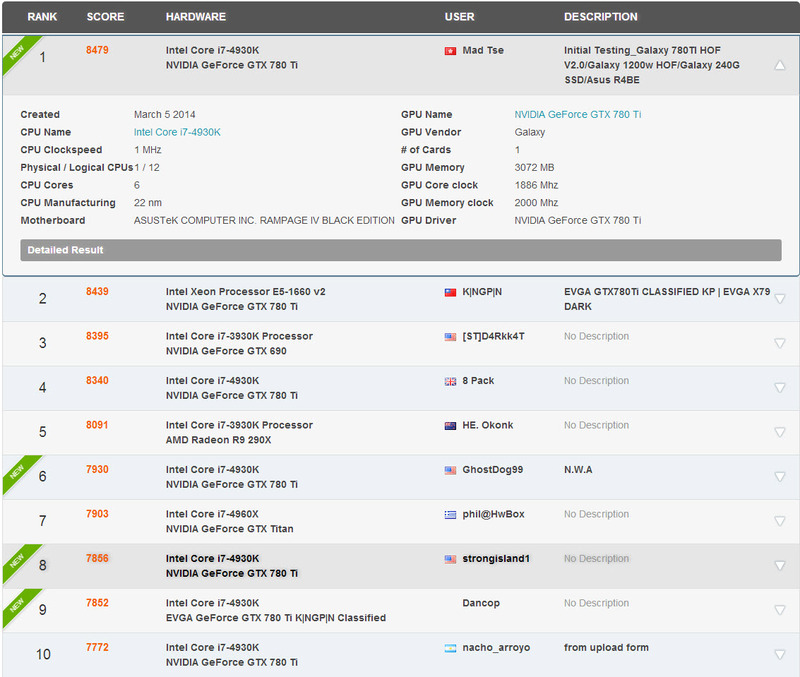 So far R9 290X is far from reaching the same scores. 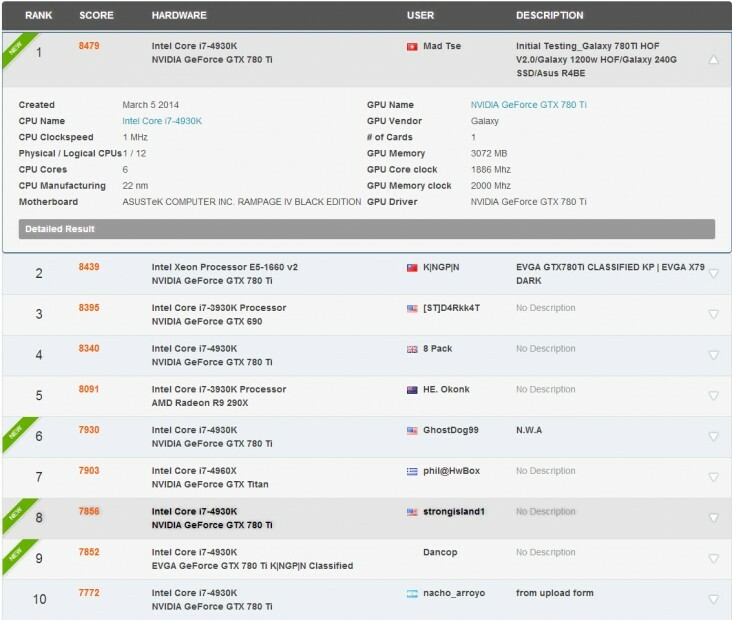 Hopefully someone with R9 290X Lightning will soon add his score here.